A simple way of transforming an ordinary meatloaf to Low Carb Cheese Meatloaf with 2 distinctive Wow effects. 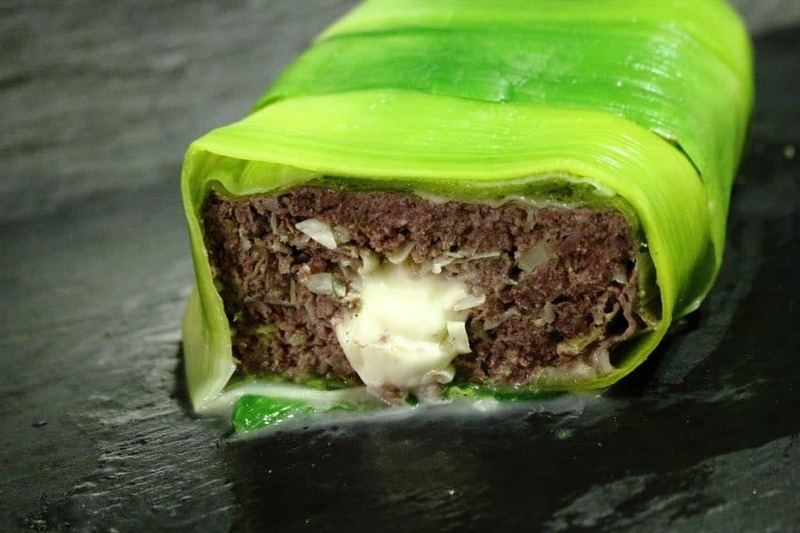 The melting cheese while cutting and the bright green color from leeks will just wanna make you cook this right at the moment you are reading it. I am sure you love Cheese. But do you also love Meatloaf? If yes, you would love this Low Carb Cheese Meatloaf. If yes, then this is just a perfect dish for you. We normally never make meatloaf at home. If I use minced meat, then it is mostly with our famous Low Carb Burgers, because I can hide whatever I want inside them and it is still loved all the time. But as I was scrolling on my Facebook (not that I am there all the time) I have seen one recipe, which made me love the dish immediately. And It was nothing to do with meatloaf or a cheese. It was the way the packaged the whole dish with leeks. The vibrant color, just made me watch it again and again. 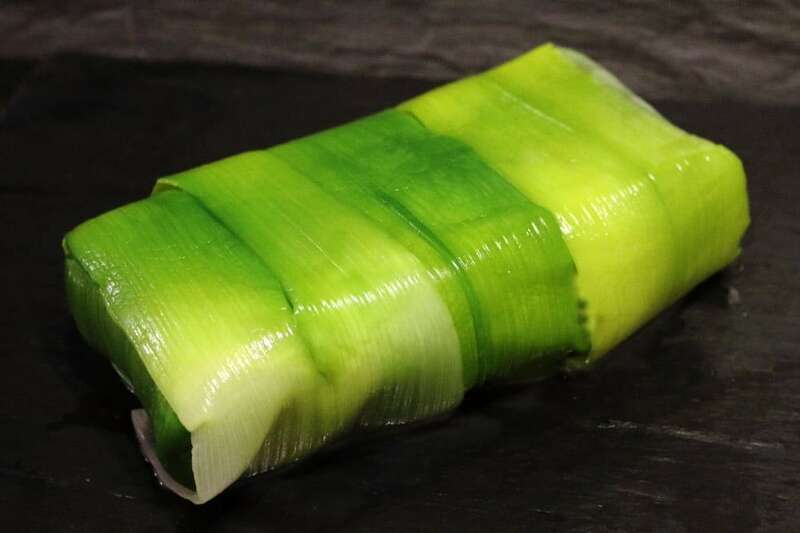 I was determined to do something, anything for that matter, where I can use the leeks to package it. So I then thought of a meatloaf. And since I did not want it to be purely meaty, I thought of adding mozzarella inside to get that melting cheese effect. Tried it and O my. It was really a nice dish. And you are lucky enough to try it with us. As an addition to the Sunday lunch, our Keto Egg Drop Soup would be a great suggestion. Do let me know what else did you put inside, so we can experiment with it a bit more since I am doing this recipe definitely again. 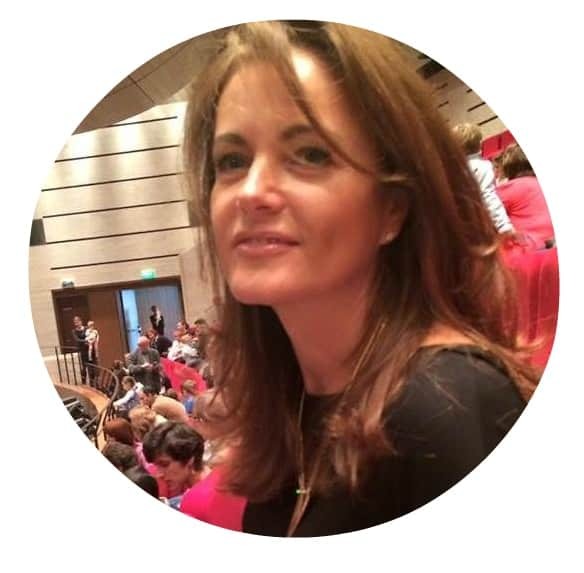 And do not forget to sign in to our Newsletter here, so you do not miss any of our new Low Carb recipes. Clean the Leak, cut approx 10cm from the white part and cut that into small pieces. Cover the whole dish with the leaks end and if needed add more leaves, so the whole dish is covered. Place it in the oven and bake it for 50 minutes. I have baked it first covered for 40 minutes and then uncovered for remaining 10 minutes, so the leak leaves do not burn on top. Looks absolutely delicious!! What a perfect idea for a low carb meatloaf!! I love both leeks and cheese, they both have such awesome flavors. And the leeks really do have an amazing color. Yeah, the color is unbelievable. 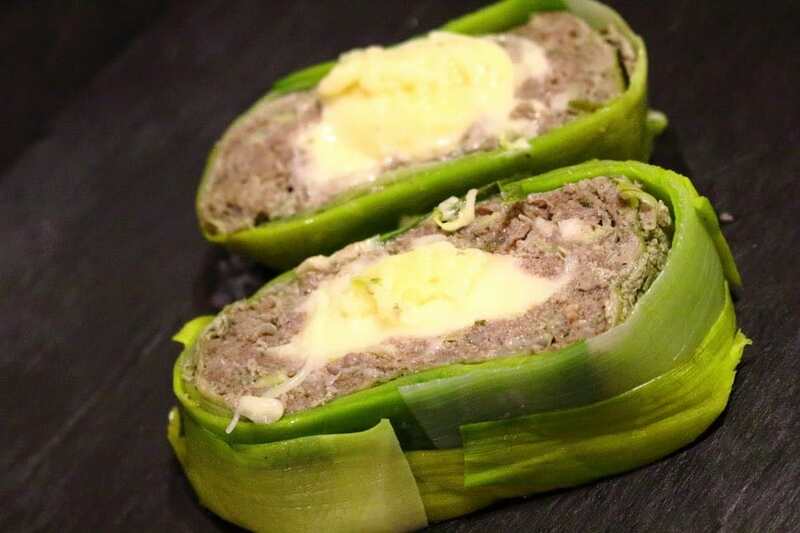 What a great idea of using leeks and I love the addition of the mozzarella in the middle. Ooey gooey delicious cheese is always a big favorite around our house. Exactly, you get those 2 wow effects with melted cheese and lovely leeks. This looks awesome! I never would have thought to add leek, but I bet it adds awesome flavor! I haven’t tried meatloaf with Buffalo Mozzarella yet. I will definitely try this recipe looks so delicious!. I wasn’t aware that meatloaf isn’t low carb everywhere. 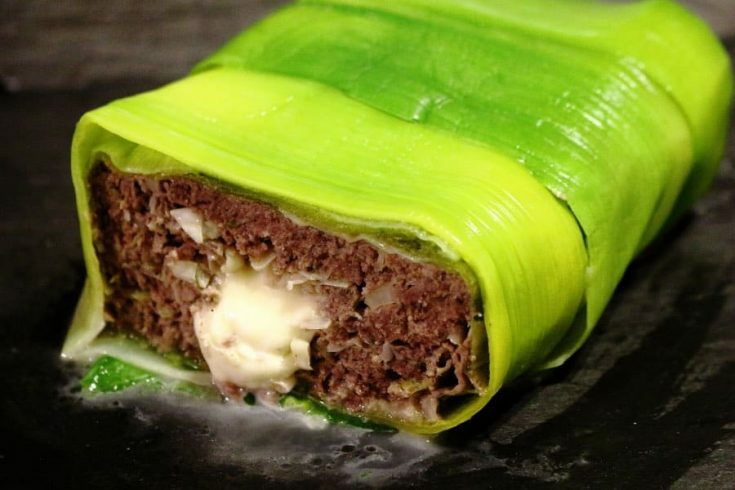 In Norway it is very similar to this one, and I love the leeks! Every country has got different types of dishes, so I guess that is the reason. I get super excited to see anything wrapped in leaves and cooked. The flavor the leaf imparts to the dish…oh my word. It’s a real treat! All you need to say to me is mozzarella and I’m in. This is meatloaf like I’ve never seen before! I am happy you like it. we always need some twists into our dishes. This looks so delicious! The leeks are such a unique twist here! Yes, you are so right, Leeks gives ait a bit of tip on the cake as we say.